You see a map that displays territory of Albania, of Bosnia and Herzegovina, of Bulgaria, of Greece, of Croatia, of Italy, of Montenegro, of Macedonia, of Romania, of Serbia, of Seychelles, of Turkey, of Ukraine, of Kosovo. huge city Istanbul marked. On this map huge city Bursa free download. Displayed capital of Bulgaria huge city Sofia for Garmin. Displayed large city Bagcilar presented. capital of Bosnia and Herzegovina large city Sarajevo for Garmin. You can find here large city Bahcelievler download for free. You can find here large city Umraniye download for free. 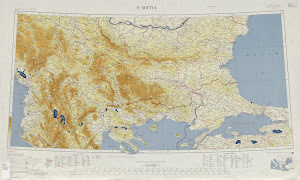 On this map capital of Kosovo large city Pristina for Garmin. On this map large city Esenler download for free. Displayed capital of Macedonia city Skopje for Garmin. Displayed city Sultangazi download for free. On this map city Maltepe presented. You can find here capital of Albania city Tirana free download. You can find here city Atasehir download for free. Displayed city Thessaloniki download for free. city Plovdiv presented. city Sisli for Garmin.